Pot cheese is a simple, fresh cheese that can be made in a pot on the stove. Hence the name, pot cheese. 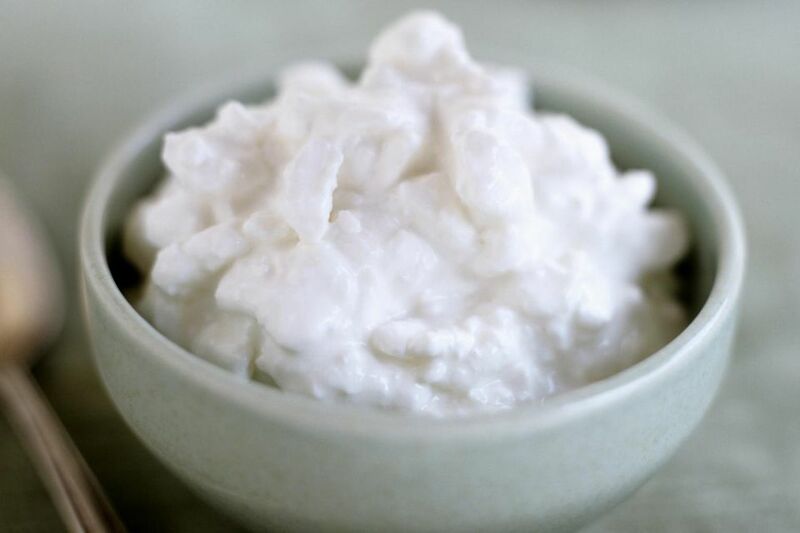 It's considered by some to simply be a variation of cottage cheese, one that has larger curds and a thicker (sometimes drier, or less watery) texture. Pot cheese is in between cottage cheese and farmer cheese. Cottage cheese that has more of its whey drained off becomes pot cheese and farmer cheese is even drier than pot cheese. Pot cheese is unaged and should be eaten within a few days of making it. Pot cheese is sometimes sold in stores as dry-curd cottage cheese or "pot-style" cottage cheese. That is if you can find it at all. Pot cheese isn't always easy to find in stores. Because the cheese is unaged and it does not have a long shelf life, it is likely that it originated in farms and dairies for personal use. Cooks can also alter the flavor as desired, making it very versatile. Since most people no longer live on farms, pot cheese is not as popular as it once was, and recipes which once called for it usually call for ricotta instead. Cottage Cheese: The most similar to pot cheese. You can try buying regular cottage cheese and draining most of the liquid (whey) from the curds, for a drier consistency. Farmer's Cheese: Farmer's cheese is drier and firmer than pot cheese. It can be sliced or crumbled. The mild flavor, however, is similar to pot cheese. Quark: Quark is a non-fat or low-fat fresh cheese that is creamier than pot cheese. The texture can be as creamy as yogurt. It has a flavor that is tangier than pot cheese. Ricotta: Fresh ricotta has a sweeter flavor and creamier texture than pot cheese. Ricotta salata has a drier texture - dry enough to crumble or slice - and it's saltier, too. Queso Fresco: This Mexican cheese has a dry texture and mild but salty flavor that's somewhat similar to pot cheese. However, queso fresco is firmer and holds its shape even when heated. Fresh cheeses, like pot cheese, do not have a rind and are not aged for any significant period of time. The curds for some fresh cheeses are produced by adding rennet to the milk. Some types of fresh cheese are thickened simply by culturing, or souring, the milk with acidity (citric acid, lemon juice, vinegar or buttermilk). Other types of fresh cheese include mozzarella, feta, cotija, and halloumi.